New World Symphony was established in 1987 by Michael Tilson Thomas and Lin and Ted Arison. It is the only symphony orchestra in the United States that is also an accredited educational institution. Musicians at New World (called “Fellows”) audition for their positions as in any other professional symphony orchestra, typically after completing their collegiate studies but before they have successfully landed a position at a professional orchestra. 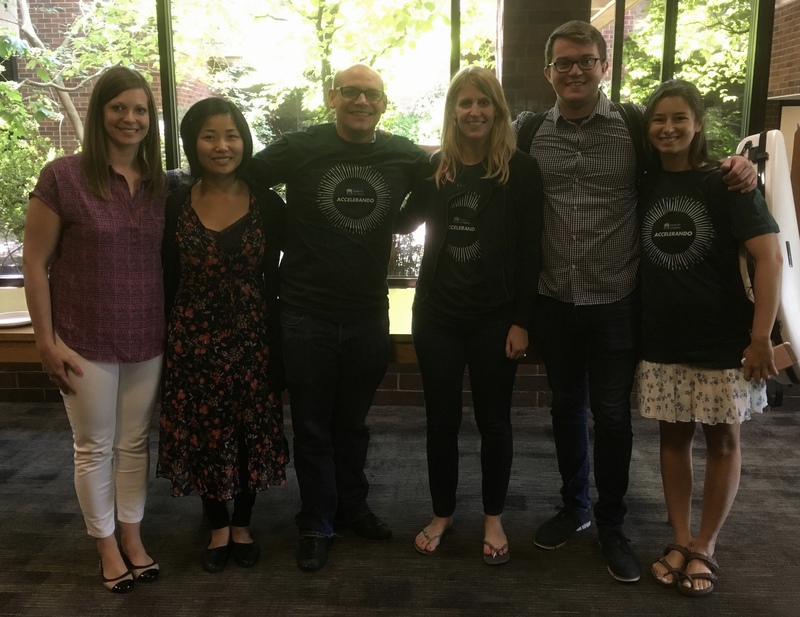 NWS Fellows engaging in a demanding curriculum that includes not only a vigorous season of orchestral concerts but a robust suite of education and community engagement services, which are increasingly becoming a vital and typical component of the professional orchestral musician’s workload. At New World Symphony, our mission is to prepare classical musicians to be leaders in the field. As part of their training we equip them with a skill-set that we believe is necessary to thrive as a 21st century musician. One such tool is learning to engage and teach via internet and distance learning technologies. Partnerships like that with Nashville Symphony’s Accelerando Program are essential to the Fellows’ learning process. In the winter and spring, Accelerando students participate in monthly coaching sessions with NWS Fellows via a cutting-edge video-conferencing technology called Internet2. Access to this remarkable tool for distance learning is provided to us by Blair School of Music at Vanderbilt University, our generous partner in producing the Accelerando program, as well as many other Nashville Symphony education programs. 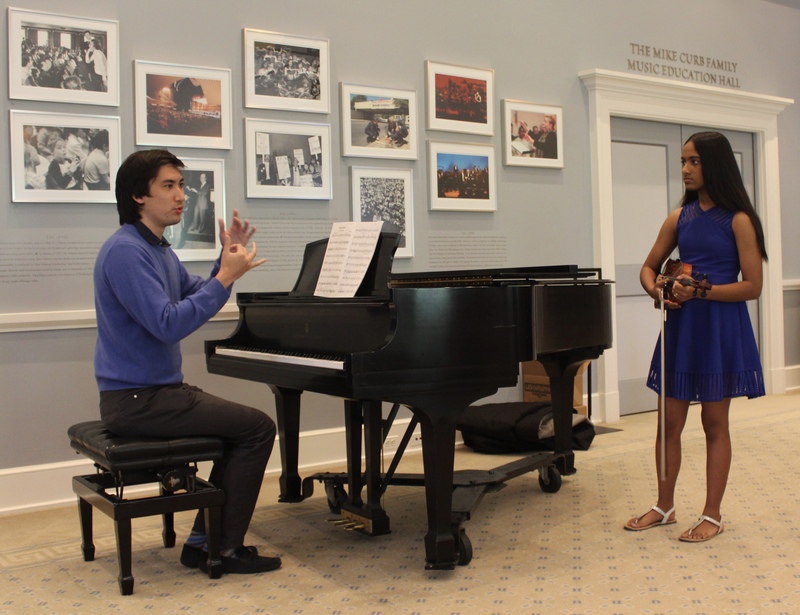 “Our partnership with New World Symphony is a tremendous opportunity for Accelerando students to learn from fellows, who will join the next generation of classical musicians.” said Kimberly McLemore, Accelerando Manager. 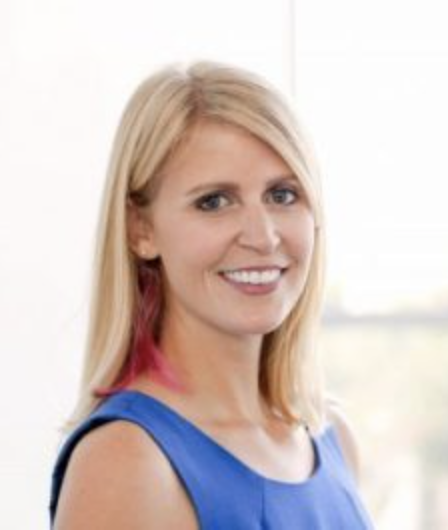 “The fellows are able to share their training with our students while gaining further experience with instruction. After several months of masterclasses via Internet2, the partnership culminates in the Town Hall Masterclass, three-way distance-learning event and a once-in-a-lifetime opportunity for students to perform in masterclass for Michael Wilson Thomas. 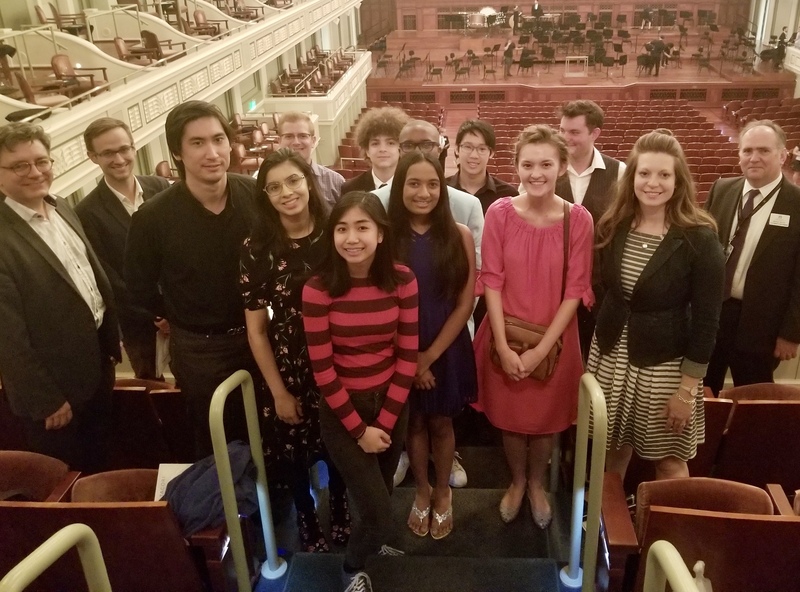 In 2017, Accelerando student Aalia Hanif (flute) represented Accelerando in this event, students from the Atlanta Symphony Talent Development Program (TDP) participated, and MTT coached from Miami. This year at the Town Hall Masterclass, MTT coached Accelerando trombonist Bernhard Ekwuazi, and the Atlanta Youth Symphony performed. Each year we have also been extremely fortunate to host a visit from the NWS fellows – after months of coaching our students over the internet, we finally get to meet them in person! 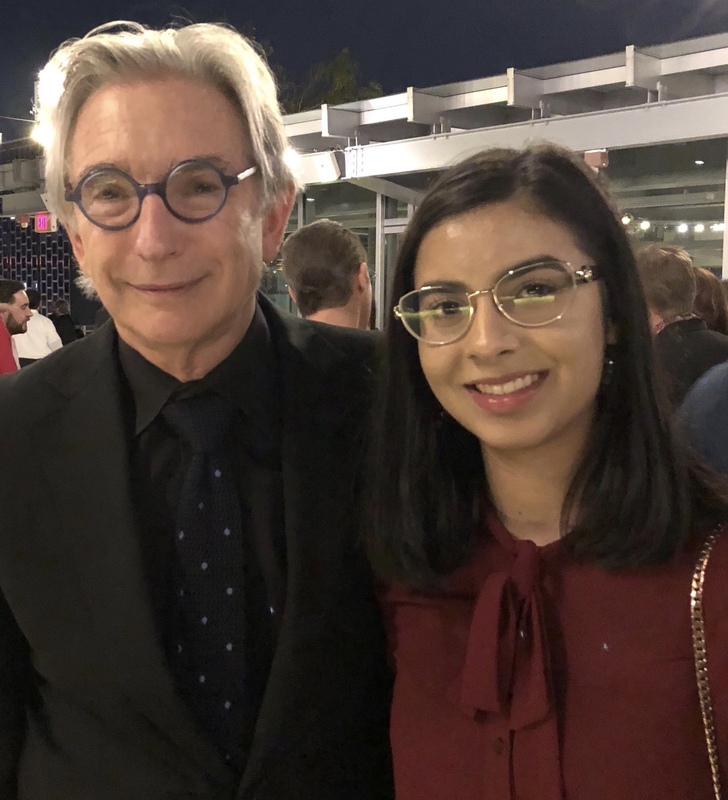 In addition, this year Aalia was invited to participate in New World Symphony’s annual Side By Side concert, and traveled to Miami for a week of rehearsals and a performance under MTT’s baton. You may watch and listen to it here on the New World Symphony Facebook Page. 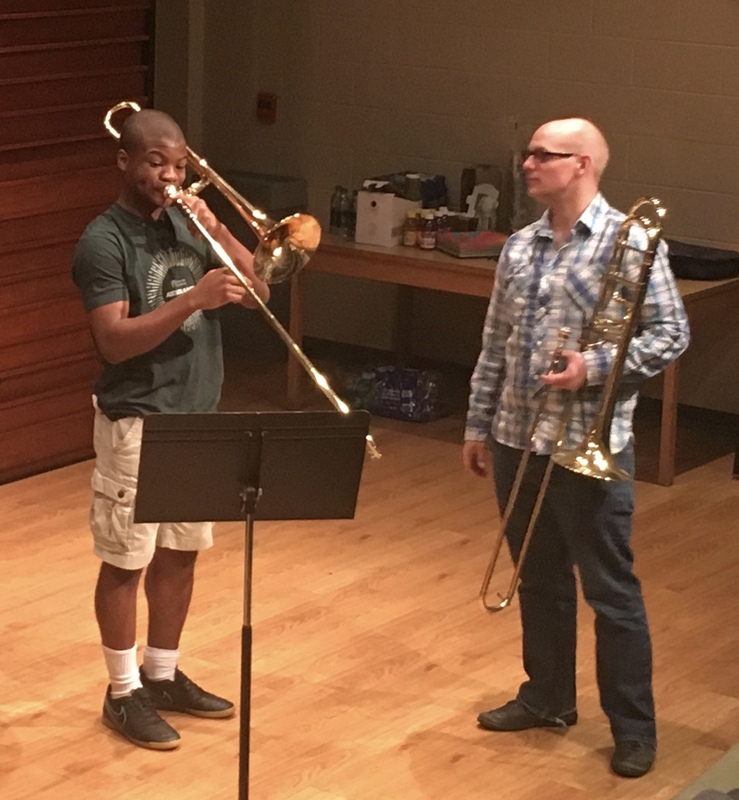 “Working with Bernard on the Nashville Accelerando project has been one of the absolute highlights of my fellowship here at New World.” said NWS Trombone Fellow Joseph Peterson. “I saw tremendous growth and progress in his development. There was so much excitement for me as a teacher when I got to see him play for Michael Tilson Thomas in the town hall masterclass this year. I look forward to working with Bernard and the rest of the Nashville Accelerando students next year. By walterbitner in Accelerando, Education, Music, Music Education, Nashville Symphony, Nashville Symphony Programs on August 3, 2018 .